It's been two years since I've been on the less is more journey. I have learned so much. One of them is... 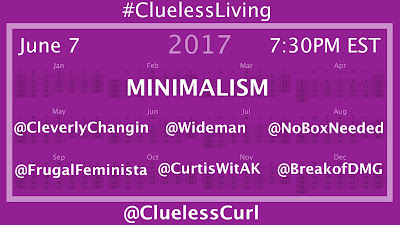 I was actually a minimalist, but at the time I honestly didn't know the name of this lifestyle. It's funny how I look back and I say to myself... I was already doing this. I'm still going and I've become even more mindful and intentional with this lifestyle. Of course, I need the most basic necessities but a majority of things I can seriously live without. Those things don't define me. The tips I'm about to share are for those who are interested in doing more with less. Let's take a took at what minimalism is. *looks up the word "minimalism" in the dictionary* definition references music, art, and design. Hmmm... looks like there isn't a clear definition. But have no fear... I'm going to give it to you "clueless" style. Minimalism is basically to live life more intentionally. Being conscious of what you're consuming. Doing this will give you the freedom to spend more time doing the things that's most important to you. Those who embrace this lifestyle will do so differently from someone else. However, the end goal is pretty much the same. The FREEDOM to do more with less. 1. Start Slow- You DO NOT need to make a radical change. If you do, you will quickly burn yourself out and guess what? You'll be right back to zero. Remember that this is just like any other transitioning method. So call up your friend PATIENCE. Don't worry about what he, she, and they are doing. You will get there but you have to focus on you and what works for you. This is not a race to see who can do it better or faster. 2. Get Rid Of The Two's- Look around. Do you have two or more of the same things? Have you used any of them in the past 3 months? If not, then toss or donate them. For me it was cosmetics. Lipsticks to be exact. It was all mostly the same EXACT shades. I just kept buying and buying and forgetting about the ones before the new ones. So if you have a stash of two or more of the same things, start from there. 3. Food, Food, Food- Eat the same thing for breakfast (try to keep it on the healthy side) each morning. Breakfast for me is mostly smoothies. I would love to make hot breakfast each morning but I ain't got time for that. I save that for the weekends. Lunch is usually dinner from the night before. This has saved me so much time and money. -Participate in Meatless Monday: I'm not telling you to give up your meats (I still eat them, just not as much as I used to) but one day out of the week won't hurt. 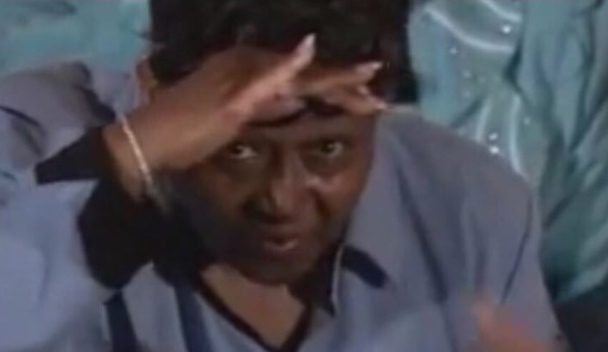 Scroll through my meatless dish category. I can almost guarantee, you'll find a recipe that will interest you. I also went plant based for a month trying all types of plant based dishes. -Meal Prep: I spend the weekends chopping, dicing, slicing, and mashing for the week. Again it saves me time so I can focus on other things that are important to me. A major benefit I noticed doing this is I'm not wasting food like I used to. I still have ways to go but the amount of waste has gone down. 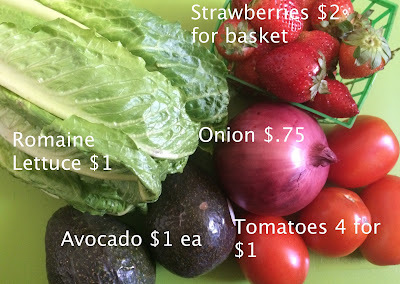 -Try storing your cut veggies in a glass container (mason jar) so that way you can grab and go with it. I've noticed that they last a little longer this way. As for fruits, I prefer to freeze them once I see that they are starting to go bad. Psst... Do me a favor. Open your refrigerator, take a look at expired condiments and that container that's way in the back that you forgot about and Throw. It. Out. 4. Minimize Your Wardrobe- CONFESSION: I hate shopping for clothes. Going through the racks, trying them on, should I get it in this color, what size. Whew! I'm exhausted. I enjoy food shopping more. Am I weird for that? So, if you're wondering why you don't see outfit of the day type posts... now you know. For those who are into fashion you can create a capsule wardrobe. A capsule wardrobe is a collection of essential items that don't go out of style. Pieces that you can wear over and over again. This sounds exactly like something I was doing way before I even heard of it. I wear what I like. I could care less if it's in season or not. If you're interested you can take a look into creating one. I've seen a few challenges floating around like Project 333 and a few others. Just research and find what works for you. I just recently did my semi-annual decluttering. That time of the year when I look at what stays and what goes. During that time, I also look at the things in my want list. Will it be a yay or a nah? I'm going to be honest, there wasn't a lot that I had to get rid of. Yassssss!!! I've been pretty consistent. I did end up having to get 2 new sports bras. I also bought a pair of running walking shoes from Plato's Closet. The cost was only $10 and they were in like new condition. Plato's Closet was also having a sidewalk sale where a majority of the items were only $1. Yes! A dollar. I was able to score 3 like new items. Last but not least, I picked up a few essential (eco-friendly yoga mat and kettlebell) at home workout equipments from Marshall's (under $35 for both). I've said this time and time again, you DO NOT need a gym membership to get the results you want. I've never had a gym membership and I think I never will. A few basic poses, running, and walking is my kind of workout. For my naturalistas looking for a simplified natural hair regimen, check out how I simplified mines. I recently watched a documentary called Minimalism by The Minimalists on Netflix. If you're curious and want to know more, check it out. There are many levels to this lifestyle. From finances to tiny houses to zero waste. I already know there are a few levels I will never be able to accomplish 100%. I would love to but I gotta be realistic with my own situation. I take what I can and leave the rest. I refuse to overwhelm myself because "this" part of minimalism is the cool thing to do now. NOPE! Being a minimalist is not about being a perfectionist. Those minimalist who don't have a lil clutter in their life can't be trusted. Yeah, I said it. Don't go snitching on me though. How dare they be so perfect with this lifestyle? 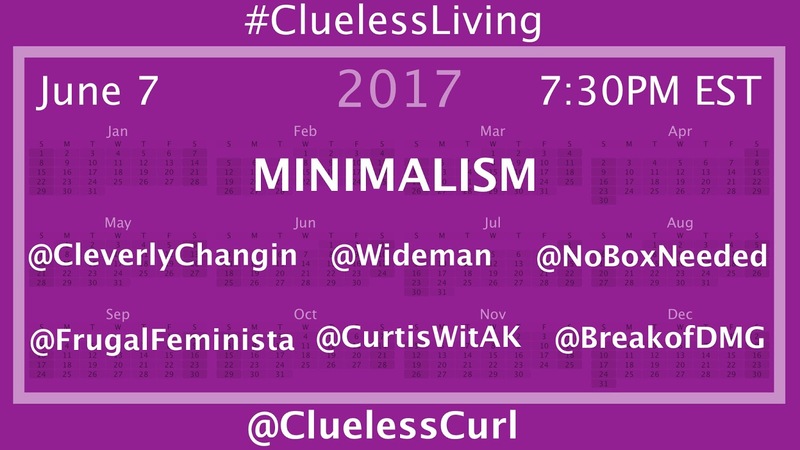 Join me and my guests for #CluelessLiving. A chat about keeping it simple. We'd love to have you join us. Good luck on your journey! For me slowing down has not been as easy as it should be. Every now and then I find myself sliding back into my hustle and bustle ways. I have to tell myself to slow down, breath, smell the roses and live. LOL. I totally feel you. Smelling the roses does help.